Advocates for shuttering Texas’ institutions for the disabled thought they had the numbers on their side: a budget crisis so severe that lawmakers would have to close some state-supported living centers. With less than a month left in the session, their hopes are largely dashed. Advocates for shuttering Texas’ 13 institutions for the disabled thought they had the numbers on their side: a budget crisis so severe that lawmakers would have no choice but to close some state-supported living centers. But with less than a month left in the legislative session, their hopes of closing more than one facility and establishing a moratorium on new admissions are largely dashed. Even with a $15 billion to $25 billion budget shortfall and a series of blunt recommendations from the Legislative Budget Board, lawmakers say there isn't the political capital to move the ball far. “The politics sometimes trumps the policy,” said Rep. Charles Schwertner, R-Georgetown, whose House Bill 2536 — which would halt new admissions until the facilities drop to 3,000 total residents, and establish a commission to make recommendations on closure or consolidation — has not moved out of committee. 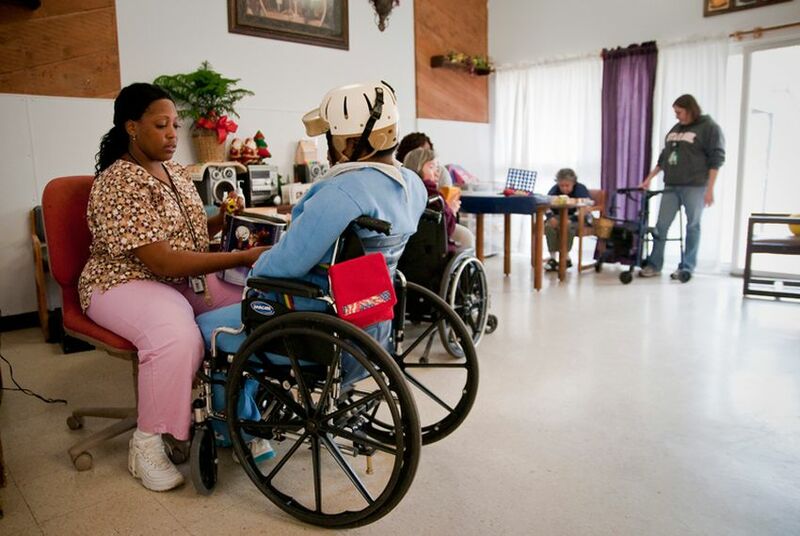 Opponents of institutionalized care for the disabled have pushed unsuccessfully for years to close Texas' state-supported living centers, which have come under intense scrutiny by the U.S. Department of Justice because of reports of abusive conditions. Families of residents at the facilities have fought back hard — defending the care their loved ones receive, and saying conditions are no better, or maybe even worse, in group homes in the community. Facing a massive budget hole, the Legislative Budget Board released a report in January recommending the closure of at least one facility by 2013, and the establishment of a commission to consider future closures. The report raised a series of concerns about the cost efficiency of the facilities, which serve 15 percent fewer residents than they did in 2000, but have seen their appropriations grow by 93 percent in the same time period. Despite an influx of funding, the Legislative Budget Board found, confirmed allegations of abuse, neglect and exploitation at the facilities have risen 65 percent since 2006. “Additional funding is unlikely to resolve many of the operational challenges confronting” state-supported living centers in the near future, the report states. In the 2012-13 budget approved by the House, lawmakers have taken one of these recommendations — closing a single state-supported living center, to be selected before the budget is sent to the governor. The Senate draft talks less specifically about managing the census of the state-supported living centers. But what advocates want even more — a commission to take a longer-term approach to determining the facilities' future — has gotten no traction, despite bills filed by Schwertner and Sen. José Rodríguez, D-El Paso, to establish one. Families of those living in these centers contest the Legislative Budget Board’s recommendations as well as the analyses showing institutional care is less cost-effective than community care. (They’ve run their own numbers, they say, and found the costs are more or less the same.) They say the state-supported living centers provide all-inclusive care, from room and board to medical treatment, and are responsible for residents with the most profound and life-threatening disabilities. “What’s sad," Ward said, "is that we have to keep defending them."